"[...] Due to the lack of a state of higher awareness, the planet Earth is a small hell, where by divine grace or infernal evil, the individual neither notices nor evaluates his precarious condition or the cloudiness of his awareness. Like true madmen, each sapiens, like Don Quixote, the Castilian nobleman, strikes out against his own windmill. Thus, battle after battle, youth is lost, illusions die, purity withers, and the last glimmers of lucidity gradually disappear. In addition, these robots would make and maintain themselves. It could be argued that sapiens, unlike other species, sows, produces, and labors only for himself and not for other beings. This is true for the products and material sapiens uses for his own maintenance. No non-human species steals the material product of sapiens' efforts. We could also refer to them as Gods of the Zodiac, as they direct and govern human existence on this planet. When we speak of true astrology, we do not refer to radiations from a specific planet, but to the influence of the Zodiacal Gods, each one of which (there are 72 in all) has personal and defined characteristics, influencing the people they control in a strange way. All of Earth's inhabitants are under the sway of one or more of these gods, who regulate, shape, and direct the destiny of humanity. […] The Archons of Destiny are terrifying beings, not because they are evil, but due to their cold and inexorable severity in the manipulation of sapiens. If we were to establish a symbol for these beings, no doubt they would be depicted with a whip in their hands, a girdle of bristles or netted wire with which they chastise humanity in order to ensure their progress, although this evolution may be imperceptible during our earthly time. For example, these occult judges pitilessly provoke a world war in which millions of people die. For them, these dead are of no more importance than that assigned by sapiens to the thousands of animals they sacrifice daily in order to feed. Sapiens, in his extreme fight for existence and in his various relations with the natural and social environments surrounding him, inevitably experiences all kinds of tribulations, suffering, deceptions, and other experiences, both pleasant and unpleasant. As a consequence, his emotional and nervous systems develop certain embodied elements, that are extremely powerful, and which abandon the human body in the form of vibrations (everything vibrates; matter is only vibratory energy). 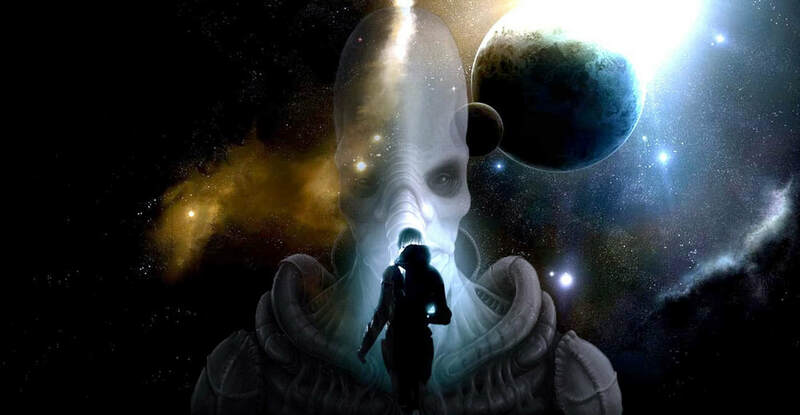 These vibrations are transmitted through antennae incorporated in the biological unit which are tuned to the frequency of the Archons, who then reap this power and use it for purposes we cannot divulge, again stating that they accomplish a cosmic function. It is thus that sapiens is unwittingly stripped of the most noble product he has produced; the final distillate of human experience, the broth in which lies the blood, the soul, and the very life of the individual. The individual lived for this, suffered, loved, enjoyed, worked, built things, went to war, studied, investigated, only to prepare the golden broth of his life. We must understand that the central computer only exists in relation to the Archons of Destiny as an instrument to control sapiens. The object of life, the reason for which sapiens was created, is not for him to enjoy life in the garden of the Lord, but rather to be a pawn in his vineyards, a worker so perfect he can act as cultivator and food at the same time. If man could prevent his golden broth from being stolen, with this vital product he could become equal to the gods, rapidly evolving by integrating within himself the products from the chemical laboratory of his physical body. This is exactly what is done by the student of Hermeticism, who is temporarily freed by the Archons of Destiny. This individual, by virtue of his understanding and responsibility, has no need for an overseer with whip in hand to oblige him to evolve through suffering, as he takes responsibility for his evolution into his own hands, and if he deems it necessary, submits himself to the same temporary suffering in order to attain eternal happiness. This is in contrast to the profane or worldly person who chooses fleeting pleasure at the expense of eternal suffering. […] Enough revealing of secrets which are hidden from sapiens. Let us spread a cloak of silence on this subject in order to comply with the mandate of the esoteric Sphinx who demands silence. Speech and silence are two swords, which must be handled with sublime skill in order not to disrupt universal harmony. Those who have "eyes to see" will understand everything not stated in the written word, but in the cryptic language of the initiate. For those not in this state, it is best that they understand nothing and continue to sleep tranquilly. Ultimately, the Archons run no risk of a bad harvest from a possible rebellion of sapiens. Sapiens is too blind to see where the danger is really found. It is sad to observe the tremendous limitation of sapiens, who shuts himself up in the small world of stereotypical concepts, of memorized knowledge, of imitation, and mechanisms of compensation and defense. His mental disability prevents him from realizing just how small the cubicle is which imprisons him. And, thus, with a mind made up in advance, he accepts, condemns, or tolerates without bothering to intelligently analyze the situations with which he is confronted."